Did you know? Andy's evil neighbor Sid from Toy Story returns briefly as the garbage man in Toy Story 3. 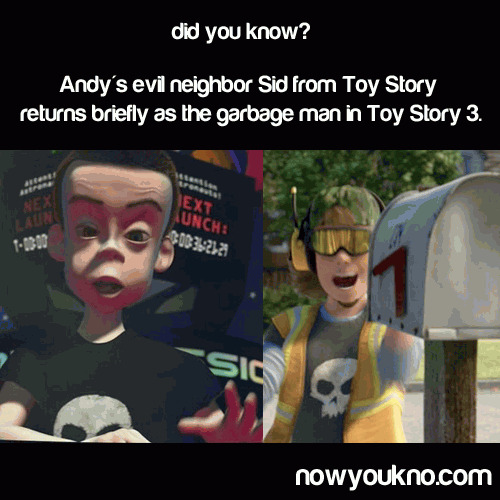 Andy's evil neighbor Sid from Toy Story returns briefly as the garbage man in Toy Story 3.